As readers and observers, we may sometimes get the feeling that being a successful tech founder is the only key to access the Mount Olympus of entrepreneurship. And it seems to work like that in certain environments, where only hype and outstanding accomplishments appear to give legitimacy to a startup story and the people involved in it. Instead, a rich startup ecosystem should build upon the real opportunities it gives to new founders to emerge and shine. When ideas are solid, they need to be supported. In Estonia, we believe in providing everyone with the tools to grow, instead of betting exclusively on the same old winning horses. Think of the myth of Prometheus – yes, that guy, the Titan who went all the way up to Mt. Olympus to steal fire from the gods and give it to humanity. He was then severely punished for his outrageous action by Zeus, king of all gods, because fire and progress did not belong to humans, but only to the inner circle of celestial beings. Giving humanity the possibility to discover, progress, invent, was not contemplated by Those Up There, as it would’ve meant to provide everyone with the power not only to merely survive, but to grow and prosper. Last summer, an interesting article on the Wall Street Journal called for the age of tech superheroes to end. The main point of the piece revolved around the claim that treating tech founders as god-like creatures proved to be counterproductive for both investors and companies. Our introduction fits the narrative – as Christopher Mims writes, “the genius tech founder mythology has its roots in the pantheon of real-world demigods widely credited with revolutionizing industry, from Thomas Edison and Gordon Moore to Steve Jobs and Jeff Bezos.” And indeed, we’re not here to undermine the crucial, widely-recognized value that inventions and revolutionary ideas proved and still prove to have, today as in the past. But what happens when the celebration of a success story turns into cult-like reverence? At this point, the article makes room for another question. If the worship of such tech gods plays into the common place of “only one in a thousand can make it”, how can we prevent the creation of oligopolies where the same old names always get the biggest shares of attention, credibility, and market legitimacy? A modest proposal – by giving fire to humans, by giving everyone the tools to succeed, supporting good ideas and pushing founders to create and pursue their plans of business. Then time, markets, investors, customers will have their say on whether a startup is going to be successful or not. In the beginning, however, it should only be a matter of opportunities, ambition and courage, rather than head starts. Let’s face it, being an entrepreneur requires also determination and self-confidence. But believing in your own ideas and projects might not be enough, especially when starting your activity in a pond with many predatory fishes. An ecosystem that cares about multiplying and distributing success, rather than investing always in the same big players, should work on pushing ahead new founders, attracting new talents, making sure that support organisations are effective in delivering what’s needed to generate growth and value. Equality of opportunities means that if you have a good idea and the initiative to turn it into a business, you should be able to do it. That’s why in Estonia emerging entrepreneurs can count on more than 80 support organisations, ranging from investment providers to co-working spaces, both in the public and private sectors, providing startups with the help and expertise needed to start a business and see it flourish. 47% of these organisations focus on services relevant to early-stage startups, making Estonia the perfect place for founders to kick-off their businesses. From consulting and mentoring to trainings and workshops, entrepreneurs grow and give back, making our country much more than just a potential market – a community. The beginning of 2019 also marked two years from the beginning of our Startup Visa programme. More than 1000 applications have been reviewed by the Startup Committee, opening the doors of Estonia to over 900 people, including 281 founders. And if entrepreneurs from all around the world choose to come here, there must be a reason – or more than one, actually, as key players and experts highlight in our insightful podcast series. Many elements got us to the point where Estonia can pride itself with such lively and supportive startup scene, for both Estonian entrepreneurs and foreign founders. Educational programmes, transparency, a dynamic business environment, funds and investors on the look out for new exciting projects, everything contributes to build a community that supports people and their ideas, in the making of the next success story. To do so, barriers towards a truly inclusive growth must be torn down, and opportunities made available to those wishing to catch them. We should not refrain from being iconoclastic, from time to time – in order to succeed, sometimes you must defy the gods. 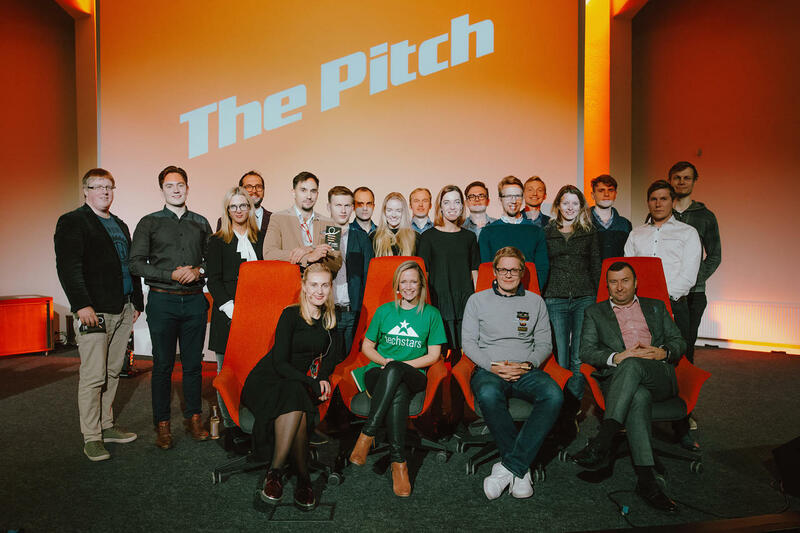 Cover photo from THE PITCH, an event during Techstars Startup Week Tallinn 2018, where teams competed for their ticket to the Prototron autumn 2018 TOP10.